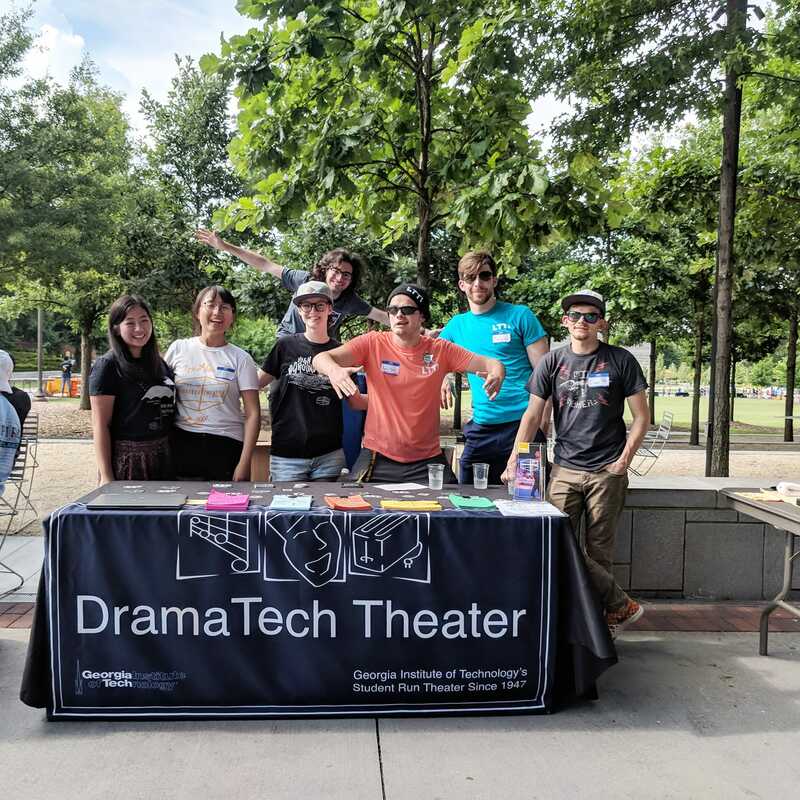 Check back to find out DramaTech's 2019-2020 season! DramaTech offers a thriving theatrical laboratory environment at Georgia Tech that enriches the greater Atlanta community through innovative and diverse live performances. Founded in 1947, we are the oldest continually running theatre in Atlanta. Full length, large scale productions performed in DramaTech’s home, the Dean James E. Dull Theater, located within the Ferst Center for the Arts. We partner with arts organizations and students across Georgia Tech to showcase their talents in a two-night blowout in the Dean Dull Theatre. While performed in the same space, these are shows that are smaller in scale, but still use some big ideas and technology. At DramaTech, we have our own improvisational comedy troupe called Let’s Try This! They perform regularly throughout every semester. Some of these shows are in DramaTech’s theatre, but many take place in various locations all over campus. DramaTech’s newly-added tap troupe will show you the ropes to tap dancing lingo, steps, and routines.